The Culture Scene Investigation (CSI) is a fun filled qualitative experiential learning process that investigates the current state of an organizations culture. Its primary focus is improving leadership with teams in a way that impacts morale and excellence. We’ll do this by conducting a “synervention.” This is a developmental intervention that enables people and organizations to better develop a state of cultural excellence that is based on a shared core purpose and values. It is about going beyond mere employee/team member engagement to that of synergizing their energy and talents with and through an ongoing process (not program) of Culture, Leadership and Team building. We look forward to having you participate in this exciting process. & Team Development; Training/Learning & Development Processes; Strategic HR Leadership & Process Alignment; and, Innovation with domestic and international organizations. He is also a certified faculty member with SkillPath On Site Seminars. Having lived and worked abroad (Switzerland), he is sought after for his 30+ years of global executive leadership experience in this profession along with his consulting and facilitation expertise with executive, functional and impact teams with 120 countries. To compliment his experience, he has two master’s degrees, one in Human Resource Development from Clemson University, Clemson, SC, and the other in Human and Organizational Development from Fielding Graduate University located in Santa Barbara, CA. As a means of sharing his vast experience, he has published his first book: Seven Principles for CULTUREsizing Excellence: Honing Leadership Talent & Extricating the Culture Vultures. In addition, he is writing several more books and blogs on culture, leadership, innovation and creating & performing dramaturgical experiences. Online registration for this meeting closes at midnight Tuesday, June 18, 2013. Walk-ins: A $5.00 surcharge for unregistered walk-ins will apply to both members and non-members. to 5:00 pm three business days before the event (unless otherwise noted) to receive a full refund. Cancellation deadlines may be extended for special events. ADA Notice:The Northeast Florida ASTD chapter strives to make all of our programs accessible to people with disabilities or special needs as defined under the ADA. If you require special assistance or accommodation to fully participate in this event, please contact us at admin@astdnefl.org, at least two weeks prior the planned program so that we may discuss your specific needs. Media Notice: Chapter representatives may take photos or video at this event for use in print and/or digital communications. 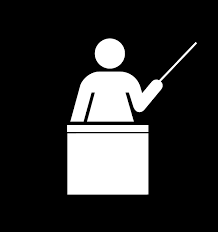 By attending, you agree that ASTD-NEFL may use your name and image and/or comments made at this event in all forms and media for education, promotion, and any other lawful purposes. To establish real credibility and prove value, you need to measure whether participants actually applied what they learned once they are back on the job (Level 3 Evaluation). Unfortunately, measuring on-the-job behavior change is not something many Workplace Learning Professionals (WLP) have much experience with. Examine viable sources for measuring level 3 behaviors and guidelines for selecting the best source. Analyze the common mistakes made by many WLPs when creating level 3 participant surveys. Learn 12 tips for overcoming these mistakes. Ken PhillipsKen Phillips delivers all programs and workshops in his signature style: professional, engaging, and approachable. Ken is founder and CEO of Phillips Associates, a consulting and publishing company with expertise in performance management, measurement and evaluation of learning, and sales performance. Online registration for this meeting closes at midnight on Tuesday, May 14th, 2013. Online registration requires payment by MasterCard, Visa, Discover, American Express, or PayPal. If you need to arrange for an alternate payment method, call the Chapter Administrator at (904) 356-9008. The May Monthly event is sponsored by Webster University. Why do we have difficulty working with others? Is it always them? Could it possibly be us? Collaboration is an essential requirement for the successful development and delivery of training to the target audience. With so many stakeholders involved – management, customers, participants and co-workers – nothing can be done in a vacuum. Yet, there are a multitude of reasons why collaborative efforts become strained, if not fail altogether. Alternate approaches, disagreement on objectives and different personalities are just a few of the barriers to a successful collaboration. Developers, designers and trainers need a personal action plan to ACCEPT collaboration to meet the needs of all the stakeholders and ensure the success of their projects. At this time of year, many of us are thinking about New Year’s resolutions, but goals – whether personal or professional – cannot be attained without accountability. Everyone talks about it, leaders want it, employees are often afraid of it, shareholders demand it, and stakeholders insist on it. But exactly what is accountability, and how do you get people to take it? When we ask Who is Accountable for that? how do we prevent people from ducking and hiding? If accountability is not working in your organization, every effort toward performance improvement will be inefficient and ineffective. The ability to execute and deliver results is directly tied to the accountability attitudes, practices, and systems in place in an organization. Partners In Leadership’s proven approach is based on the bestselling book, The Oz Principle: Getting Results Through Individual and Organizational Accountability. 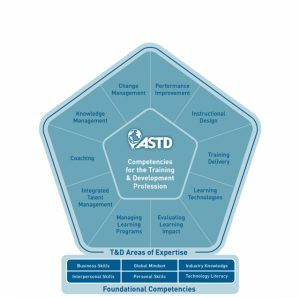 The Areas of Expertise defined by the ASTD Competency Model include ten critical factors needed to be a successful workplace learning professional. Kirk Matson joined Partners In Leadership after a successful 17- year career as a corporate executive in the global consumer goods industry. In his current role as Regional VP, Leadership Consultant, and Executive Facilitator, he has worked with notable organizations, including Qualcomm India, Royal Caribbean Cruises, CVS Caremark, Nationwide Insurance, Dept. of the Navy, Kimberly-Clark, and others. 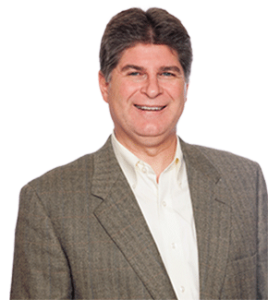 Kirk has facilitated groups up to 1,200 people, and has been a keynote speaker for ASTD Hawaii, ASTD San Diego, SHRM Oahu and Maui, and the Sacramento Area Human Resources Association. Online registration for this meeting closes at midnight Tuesday, March 19, 2013. Can’t Show? Please, Let Us Know! We understand that plans change. To cancel your reservation, email admin@astdnefl.org or call (904) 356-9008. Program cancellations must be received prior to 5:00 pm three business days before the event (unless otherwise noted) to receive a full refund. Cancellation deadlines may be extended for special events. We are all striving to gain or retain customers, so we seek to create memorable, unique products and services without spending a lot of money – especially in our current business climate. Low-cost excellence is a discipline that’s been employed by Walt Disney theme parks for decades. People around the world look to Disney as a leader in employee courtesy and exceeding guest expectations. In an economy where folks are cautious with their discretionary dollars, millions of guests are still going to their parks in droves. How do they do it? It’s not from pixie dust; it stems from the real-world application of fundamental directives and listening closely to the front line. This science of service can be effectively adapted for your teams. During this workshop, a personal take on that practical magic will be revealed to you. You’ll discover how Disney uses – and other organizations apply – these ideas to create remarkable customer experiences. has had his/her employment impacted and wants to continue in the training and development field? is already in the Training and Development field and wants to enter a different aspect of T&D? 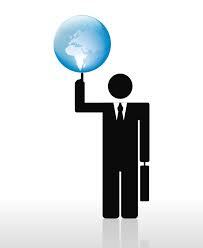 seeks to manage your own career internally and externally of your organization? Then join us for the January 2013 CMSIG Program! Doug Wilder says, “The key to a successful relationship starts with a courageous decision and bold actions to build the relationship.” Join us for an engaging panel discussion with Doug Wilder and Esther Bullard who will share insights, tips, and strategies for building and maintaining strong professional and personal relationships.